Playing poker is thrilling and fun – the rush intensifies the feelings and you feel more alive than ever when you have a good hand. This game that has been around for almost two centuries now comprises skill, a knack for strategy and, of course, gambling. Long are the days when you had to leave the comfort of your home to enjoy a game of poker. You can now play virtual poker for hours in front of your computer and experience the same rush and adrenaline feeling you would in a physical casino. Online poker quickly rose to popularity thanks to its convenience and fun factor. But how does virtual poker compare to live poker? In a nutshell, it’s the same thing: a flush will beat a straight whether you play the card game in real life or online. If you already know how to play poker online, you will be able to play it in real life and vice versa. The poker rules are the same, with players required to bluff, bet, receive and give bad beats. Many top poker players indulge in both worlds and will play both real poker and the virtual kind. You don’t need any special equipment to play virtual poker. Almost any device can be used for the game, including your smartphone, your tablet, and, of course, your laptop. Since a game of virtual poker doesn’t require a lot of processing power, even older devices will be up to the task. Players are required to download the virtual poker software. Don’t worry, the file is usually small, it doesn’t take up much space on your computer and it’s a fast process. To install the software, each player must create an account. Only users over 18 (or the minimum legal age) are allowed to play. After installing the software and signing up, the next step is to make your first deposit. This can be done with a credit card such as MasterCard or Visa. 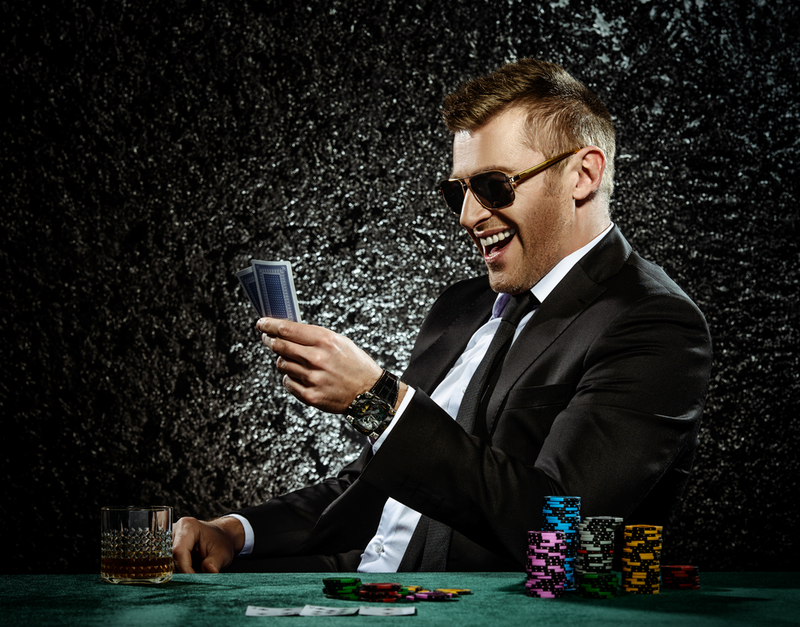 Contrary to popular belief, you don’t need a lot of money to get started with virtual poker. The best recommendation for beginners in to start with free play money poker games. After earning some experience and confidence in your gambling and bluffing skills, you can move up and make a real deposit. Most players will start with £40-£50 and gradually increase from there, if necessary. If you’re thinking that is way too little, take some time to read up on how you can save your online bankroll. The most sensible trick is to start with small tournaments, for example £1, and stick to them for a while. Find the cheapest cash games in order to maximise your initial bankroll and you will see your £40-£50 can take you a long way. How Do You Choose Your Poker Game? You will find several types of poker games out there, but they all have something in common: bluffing and betting. You can read poker guides to decide which type of poker would suit you, or you can try your hand at each one and see what you end up liking the most. Probably the most popular poker game is Texas No Limit Hold’em, mainly because it is very easy to learn. Players are given only two cards and they have to use the five community cards to create the best combination. If you’re looking for a cheap way to make a lot of money, then you should consider online poker tournaments. The buy-in usually starts off as low as £10. Players are given a stack of chips and they are eliminated when they don’t have any left. The player with the most chips wins. Virtual poker players who are looking for a more flexible game are better suited for cash games. The chips have real value and players are allowed to cash out whenever they want. More convenient and fast paced, Sit and Gos are similar to virtual poker tournaments, however, they are smaller. They begin when there are enough players at the table, have smaller rewards and take less time. What Are Some Quick Tips for Online Poker Players? There is no way of rushing the art of mastering online poker. You need experience and dozens of hours of playing in order to develop almost a sixth sense for the game. However, the internet has no shortage of poker tutorials that will help you speed up your learning process and provide you with plenty of examples, as well as the basic dos and don’ts that apply in most poker rooms. It goes without saying that you should know hand values by heart before starting playing poker. The advantage of an virtual poker game is that you can use a chart with poker hand rankings to help you out in the beginning. You will slowly assimilate the information and, before you know it, you won’t need to check what beats what in poker. Other useful tools would be an odds calculator and a winning hand calculator. Both of these often help beginners clear up confusing situations. The odds calculator will give you the percentage a player had to win a hand. The winning hand calculator requires the player to punch in his cards and the other players’ cards and it clears up the confusion by revealing the winning hand. How Do You Choose the Right Site for Poker? It might seem daunting to make the right choice with so many available options at your disposal. Players have to be careful about some key aspects on the platform in order to make a wise decision: promotions (look for monthly or weekly bonuses), player traffic (the more people, the better), software (reliable software that is intuitive and runs smooth is a must) and, finally, player support (email, live chat and phone number should be available to the public).